Home / Food / Wendy’s Hamburgers / Who is Wendy in Wendy’s? Who is Wendy in Wendy’s? So who is Wendy in Wendy’s? I wonder. Like the question about Starbucks on the previous post, I’d like to find an answer to a food store related question. So who is Wendy? Wendy is Wendy Thomas, Dave Thomas’ daughter. Thomas founded Wendy’s Old Fashioned Hamburgers (yes, that’s the complete name of the food chain) on November 15, 1969 in Columbio, Ohio, U.S.A. 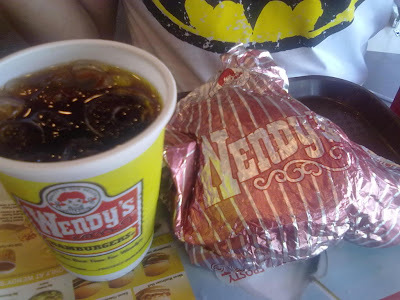 Although there are only a handful of Wendy’s stores in the Philippines, it is actually the third largest hamburger fast food franchise in the world, next to Burger King at the second spot and McDonalds at number one. What makes it special most especially in the Philippines is that the servings are slightly larger than the more popular chains including Jollibee, a Filipino owned corporation. Burgers and drinks come is larger sizes and servings than what an average Pinoy can consume. However, the prices are considerably higher too. Wendy may not be a rock star icon of some sort but her name shall resound among food lovers for as long as Wendy’s Hamburgers is around.